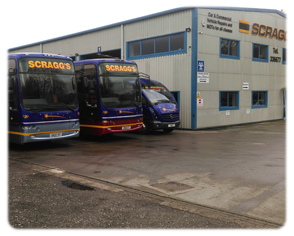 Scraggs is a family run company that has been in the Coach,Midi Coach, Mini Buses and car hire industry for more than 60 years in the Stoke-on-Trent,Staffordshire and Cheshire area. We are based in Stoke-on-Trent and operate a wide range of minibuses and large coaches for all types of travel requirements,we also run bus services under the brand name (Blue Buses) giving you easy access to The Potteries shopping centre and Hanley Bus Station from various places on our service runs like our 5 Abbey Hulton service, 44 Stanley service and 80 Bentilee, Bucknall service. Just click on our Bus Timetables section and have a look. We pride ourselves on an excellent reputation that we have earned over the decades. 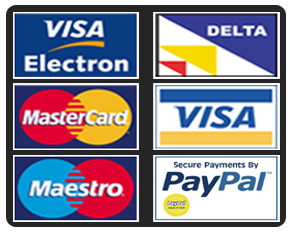 We at Scraggs understand that the needs and expectations of every customer are different, and it is our aim to recognize these unique requirements and to provide you with complete customer satisfaction in all aspects of your travel arrangements either from hiring a coach,minibus or a car for that special occasion. We are a situated in Stoke On Trent close to the A50 ,and have been trading for more than 60 years. We have recently moved into our new purpose built depot to allow us to move our company forward and to be even better at what we already do, aswell as us moving into our new depot after 40 years of having the same coach livery of cream,brown with a yellow line we have decided to introduce a new livery of Metallic Blue as the main colour giving them an up todate modern look with a twist of having different metallic colours on the bottom of the vehicles giving them all a unique look. Being a family run company scraggs feel that they are able to give the customer that little bit extra, all our fleet of buses and coaches are fitted with seat belts for your comfort and safety . Our fleet consists of 8 - 16 - 20 - 24 - 25 - 26 - 29 - 33 - 35 - 45 - 53 - 55 and 70 Seaters ideal for school trips and a 50 seater executive with toilet. We also have executive coaches with air conditioning and DVD Player so you can bring your own dvd and watch it while you travel.So if you are looking for a coach,mini bus or executive car, just give us a call and let our team sort it out for you. © 2019 G.E. Scragg & Sons Ltd.